Property sold in as is condition. Loan approval letter or verification of funds if cash offer, Agent Checklist, Seller Disclosure, Lead Base Paint,AND Buyers Acknowledgement, min $1,000.00 Deposit (copy of check), Bank of America Preapproval with all Financed Offers. Agent do not send any offers without all of the above. Bank of America N.A employees and Employees household members and HTS Business partners of the Bank ARE PROHIBITED! From purchasing this property, Weather Directly or Indirectly! please allow 2-3 buisness days for seller to respond. For cash offers: The Grantee(s), or purchaser(s), of the Property may not re-sell, record an additional conveyance document, or otherwise transfer title to the Property within 60 days following the Grantor's execution of this Deed. 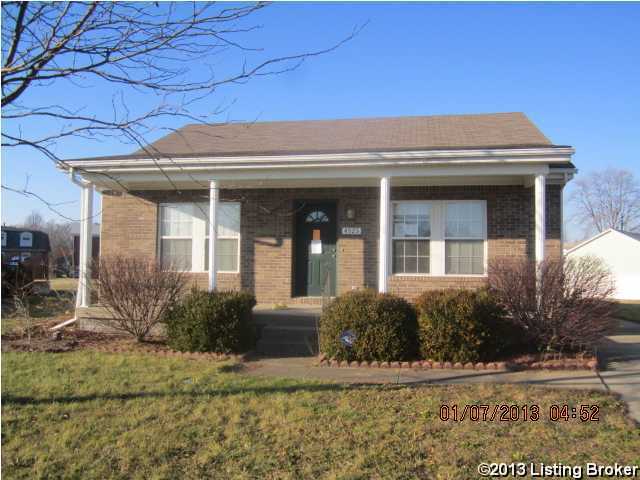 4925 Applegrove Ln, Louisville KY 40218 is a Home, with 3 bedrooms which is recently sold, it has 1,206 sqft, < 1/4 ACRE sized lot, and Driveway parking. A comparable Other, has bedrooms and 0 baths, it was built in and is located at and for sale by its owner at $ 0. This home is located in the city of , in zip code , this County Other, it is in the Subdivision, and RANGELAND are nearby neighborhoods.